(Advocacy for Oromia, 9 August 2016) At least 150 people were killed in Oromia and hundreds more injured when Ethiopian security forces fired live bullets at peaceful protesters across Oromia; over 10,000 people were arrested in Oromia after police cracked down on the grand Oromo rally calling for freedom, justice and equality. 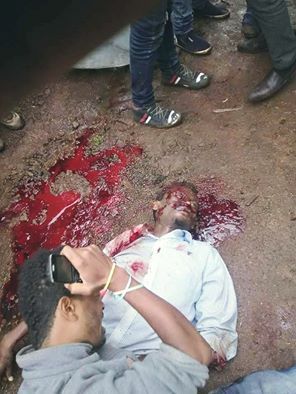 Reports we are receiving form various direction indicate that more than 150 Oromo protesters have been killed by Ethiopians security and military forces in Oromia following massive anti-government protests over the weekend. The challenge to receive accurate and timely information is still unresolved as the government entirely shut down internet connections throughout the country. The regime also determined to continue jamming and blocking any media out let that providing information for the general public. Reports from Oromia indicate that Oromo Voice Radio (OVR), VOA, Deutsche Welle Amharic service have been jammed since Yesterday, 8 August 2016. Several tips from individuals indicates death tolls were high in east Hararge, Awaday, West Hararge, Qobbo, Hirna,West Arsi (in Assasa, Adaba, Shashemene and Kofele cities), West Shewa in the city of Waliso, Ambo and Ginchi town, West Wellega, Mendi, Qilxu Karra, and east Wolega, Naqamte in Oromia. This is martyred Mammush Birhanu who was killed by Agazi forces in south west Shawa Waliso 6 August 2026. Accordingly more than 150 individuals identified who were believed to have been shot dead by security forces on Saturday alone. Hundreds of protesters have also sustained gunshot wounds and denied medical treatment; hundreds detained by security forces while several people have disappeared without a trace. According to eyewitness accounts, Oromo protesters were beaten with batons and sticks by security forces and then dragged into trucks. More than 500 people were arrested from Finfinne and taken to unknown concentration camps where family and legal advisers are unable to reach. Witness from Finfinnee- a city originally belonging to the Oromo, named as Falmata Oromia for the security reasons says Agazi police have quickly, and brutally dispersed protesters on 6 August 2016. 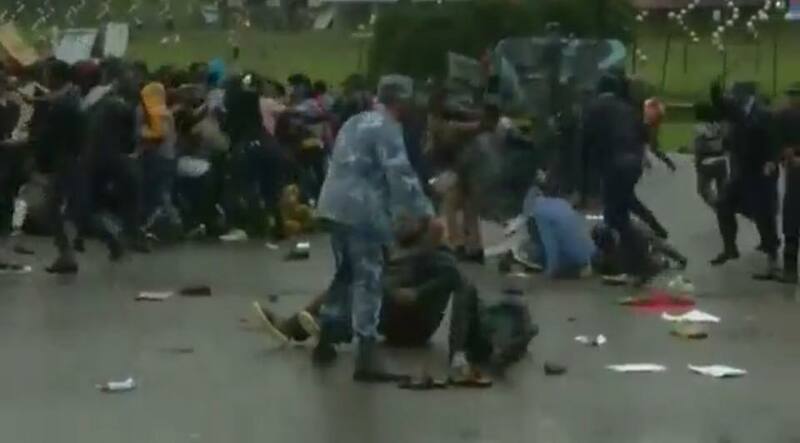 Th Addis Ababa’s protesters photos and videos seen by Amnesty International show police beating protesters with batons at Meskel Square, the capital’s main public space. Unrest flared in Oromia for several months until early this year over plans to allocate farmland surrounding the regional capital for development. Authorities scrapped the scheme in January, but protests flared again over the continued detention of opposition demonstrators.